Heartland Inspired: Made To Crave - You're Invited! I am on the brink of starting another Proverbs 31 Online Bible Study. I am sad to say that I have not yet finished one. But I am hoping this is the one that sets me on a straight way. It is such a perfect boost into the New Year. 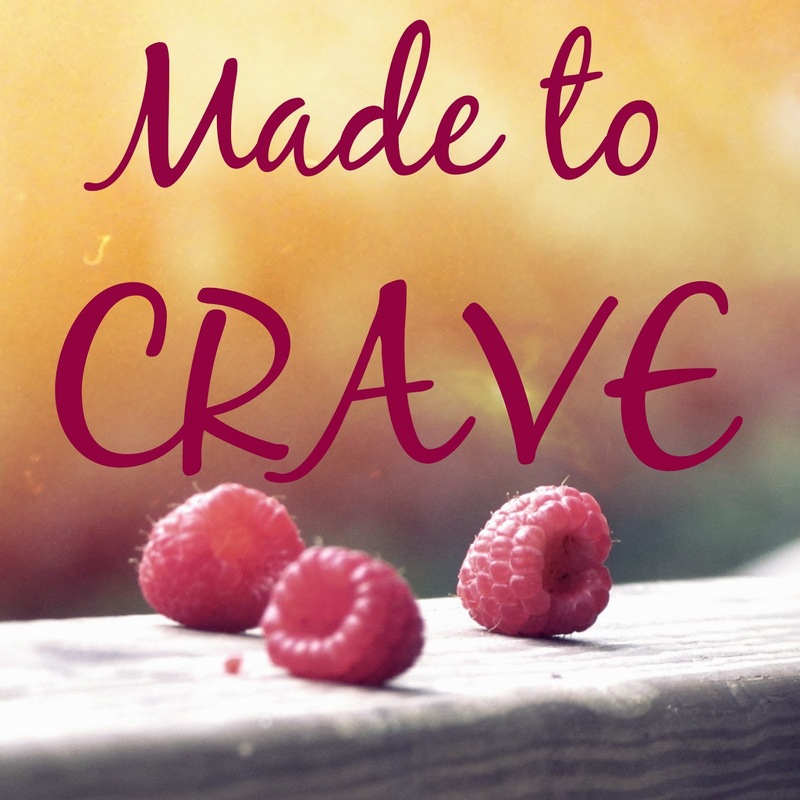 The book that we will be going through is called Made to Crave: Satisfying Your Deepest Desire With God, Not Food by Lysa TerKeurst. I am very excited about it. Every year, I seem to tell myself that I want to lose weight. And it is an ongoing battle every single year. At the end of last summer, I joined Weight Watchers and lost 15 pounds. All of it by controlling what I ate. I didn't do any exercise. I was really proud of myself. Then I fell off the wagon and stopped going. I have also gained some of the weight back. On Tuesday, I joined a gym. My mom is also a member, so I do have her encouragement to actually go. We went to a Zumba class last night…my first experience with it. I am also being a little more mindful about what I am eating too. There is shame with being overweight. It could be 20, 50, 100 pounds…anything. Clothes don't fit right and maybe uncomfortable. Causing you to be uncomfortable in the experience. You wonder if people are watching you eat thinking "how can that person sit there and eat all that food." It isn't fun. It is more than being uncomfortable in your own skin. It is also about health. I am putting myself at risk because of laziness and poor eating habits. My family is full of heart disease. I should want to do everything in my ability to stay away from that same fate. Weight goes much deeper than just physical appearance and even health issues. It is a spiritual battle. How can I honor God with my body if I am unhappy, ashamed, unable? I can't. I am choosing myself over God. So more than just losing any weight, I am hoping to regain my relationship with the Lord and learn how He is the only thing that can truly satisfy. Not food, not people, not things. For me, it isn't a matter of not understanding it, it is a matter of it not being in my heart, not fully trusting God to fulfill me and turning to food instead. Whether it is food or something else, we often times turn towards other things to satisfy us when we were created to crave God. I encourage you to join! This will be a great study because God is going to do GREAT things! You hit the nail on top of its head. So much shame goes with our body images. Sigh. I hope you, I, and all the others on this study course will fulfill it and look to Jesus as our Source of contentment. Hi Stefanie! I also hope the same thing. I too often look to things, like food, that can only satisfy for a moment. I am looking forward to learning how I can change where I look for satisfaction. Hi, I am stopping in from the BlogHop. This is my first OBS with Proverbs31, and I am so happy about all the resources they have for us. I'm also looking forward to the weekly BlogHops because I need something to help me stay accountable to finish a Bible Study from start to finish. I agree that our weight becomes a spiritual battle, and I'm praying the Lord uses this study in mighty ways for all participating. Thanks for stopping by! I hope you really enjoy this study. The resources that are available are fantastic and very encouraging! This is the first time I am looking at my battle with weight as more than just a physical battle. I hope you are blessed by what you learn. Thanks for stopping by, Erika! It is always great to see people going a P31 OBS for the first time! I am looking forward to this study so much! Hi Shelly! Thank you for dropping by. I am so glad to be a part of the OBS Community because that is what it truly is. I love the connections made between the daughters of God from all over the world! Colleen I don't have a blog, but I am from the midwest and look forward to joining others in the Proverbs 31 OBS.My weight has yoyoed up and down over more than 20 years. I am in need of support and accountability as embark in this life changing Made to Crave God study. I joined the Facebook page for the OBS. Hi Julie! I also need the support and accountability to make this change. It is more than a physical issue and it is a battle that we, as women, cannot do alone. It is so encouraging to see sisters in Christ lift each other up to be more Godly women. Loved this! Thanks for sharing! Blessings on your MTC journey. Thank you, Lauren! I am excited about facing this huge challenge head on. But mostly, because of the power of God, it is a challenge that can be overcome! So, so tired of the Devil and his schemes to keep me from craving only God. I am praying the Lord to give us strength and wisdom to not be brought down by food or any other distractions that keep us from only craving him. Angela, it is so wearing to constantly be pulled to anything other than God. I haven't looked at my other distractions from God as cravings, but that is what they are. They are keeping me from truly craving on Him.